Larch Court provides intensive support service for men with autism, a learning disability, complex needs and who may present with behaviours that challenge. The service offers placements for four men with independent living areas. 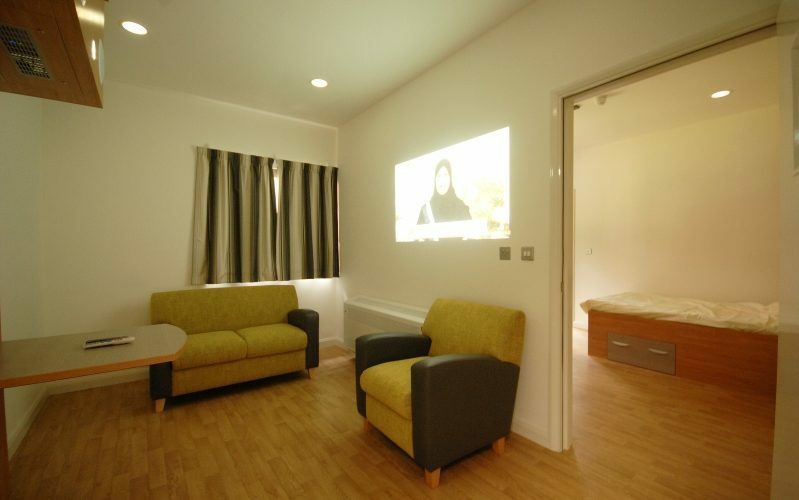 The living areas include self-modulation sensory facilities, with a programmable sensory menu to accommodate personal preferences, strengths and abilities of each resident. Larch Court’s staff team reflects the differing needs of each resident. Each resident is supported by a 1:1 staffing ratio, which is in effect 24 hours a day. Agreed ongoing 2-to-1 additional support is available.